The NSHS works hard to collect and preserve Nebraska history, but we don’t do it alone. Historical organizations and museums dot our ninety-three counties and contain many treasures. To support their work in preserving our collective history, we’ve started a program called Treasures from Nebraska Museums. We’ll showcase items from the collections of various Nebraska historical organizations through an exhibit at the Nebraska History Museum in Lincoln, our newsletter Nebraska History News, and through this blog. The ”treasures” will change every three months, allowing us to share the good work of four organizations each year. Photo by Rader Photography (above). 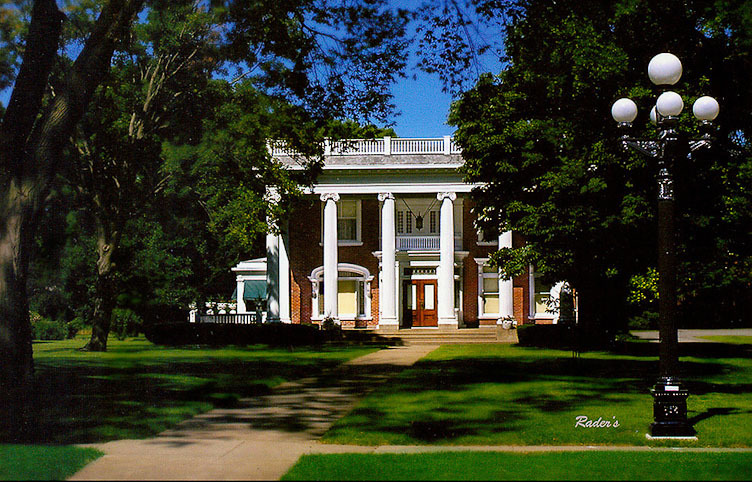 Built around 1874 by Theron Nye, the house was an Italianate structure until Theron’s son, Ray, renovated it in a Georgian revival style. In 1921 it was sold to the Lutheran church for use as a seminary in 1921; in 1968 the Louis E. May Trust bought it to house a historical museum for the citizens of Dodge County. The house is fully furnished and features period rooms and exhibits about Dodge county citizens, businesses, and events. The museum is located at 1643 North Nye Ave. in Fremont. It is open April–December, Wednesday–Saturday, 1:30-4:30 p.m. Admission is $5 for adults, $1 for students, ages five and under free. 402-721-4515, maymuseum.com. Below are a few of the “treasures” from the Louis E. May Museum/Dodge County Historical Society that are currently on exhibit at the Nebraska State Historical Society’s Nebraska History Museum. 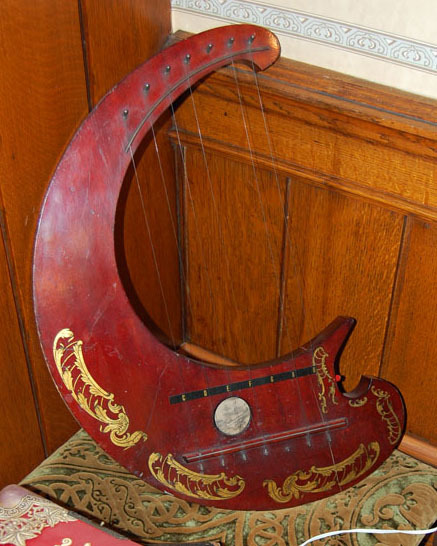 Automatic Harp, with a music box inside (at right), used by the Fremont Independent Order of the Odd Fellows around 1900. It is unknown if it was actually played as an instrument. Windows from the African Methodist Episcopal Church in Fremont (at right). 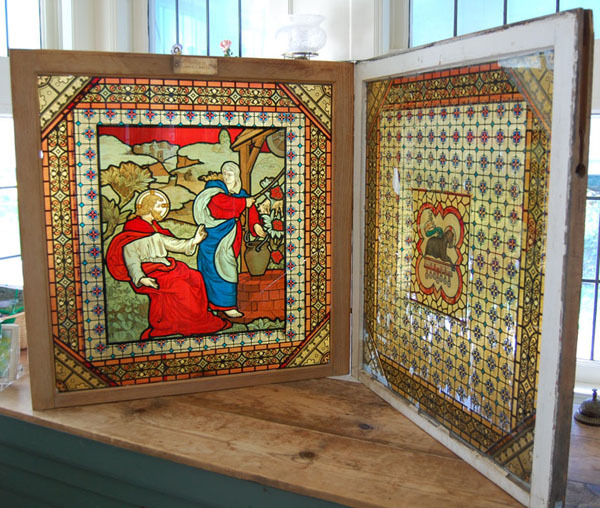 These windows, from about 1910, are backed with decorative paper to give the appearance of stained glass. The church was torn down around 1955. Bread bowl (at right), four feet in diameter, used at the Breitling Bakery in Fremont (which closed in 1903). The Breitling family emigrated from Germany and owned a bakery in Genoa, Nebraska, prior to opening their Fremont shop. Bread ingredients would be mixed in this bowl and then left to rise. 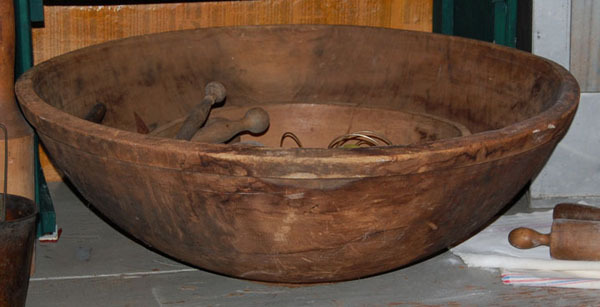 Such a large bowl would produce many loaves—appropriate for commercial use.